On 19 January 2018, Bayern Munich announced that a pre-contract agreement had been reached with Leon Goretzka, enabling him to transfer to Bayern Munich on a free on 1 July 2018. Goretzka signed a four-year contract. His contract with Schalke expires on 30 June 2018. "We're very pleased Leon Goretzka, a Germany international with great potential, has decided in favour of FC Bayern despite big-name international competitors. This way Leon Goretzka remains in the Bundesliga," commented FC Bayern München AG chairman Karl-Heinz Rummenigge. He is going to wear shirt number 18 in Bayern. Someone can lock the thread for less than 48 hours, since he is going to be official Bayern player in 2 days. His salary at Bayern is going to be 20M per season (according to Bild (via Sport)); Presumably before tax, and with bonuses included -Schalke offered gim €10m-per-year in what was already a bumper contract offer. The salary is high and as is customary with most free transfers, this will highly likely see the player himself earn a bit more money for choosing to make the move. 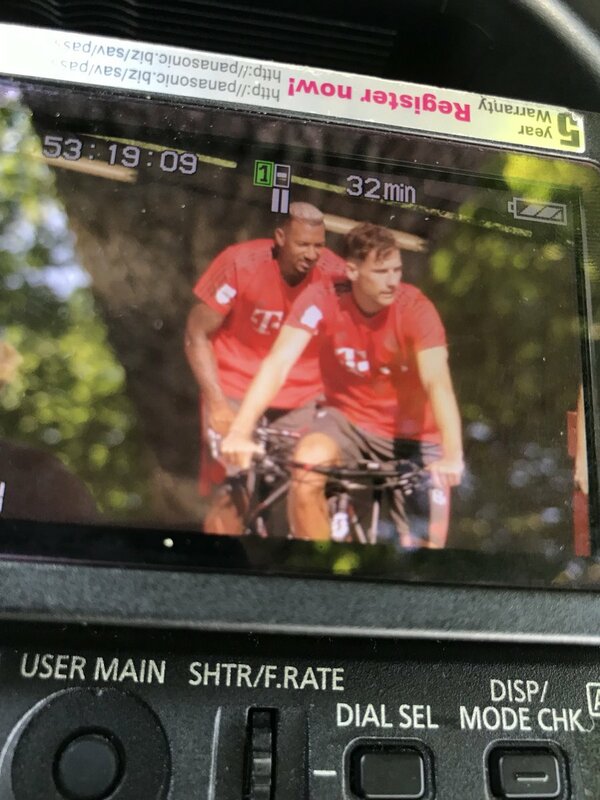 IsiahRashad wrote: His salary at Bayern is going to be 20M per season (according to Bild (via Sport)); Presumably before tax, and with bonuses included -Schalke offered gim €10m-per-year in what was already a bumper contract offer. Leon Goretzka will be officially presented as new Bayern player tomorrow at 13:30 CEST. Remember when people used to play real games?! Really liked what I saw from his debut! He may have not had as many touches as Thiago did for example but he is definitely always finding ways to be involved the game and the best part is that is usually around the opponents 25 yard box! I think I'm starting to understand why so many compare Goretzka to Ballack. His choice of words is interesting. Why his teammates and not Kovac and/or the fans? MUTU wrote: His choice of words is interesting. Why his teammates and not Kovac and/or the fans?